Been a busy couple of weeks, but I’ve got some time to sit down and smash this out now, so it’s review time! 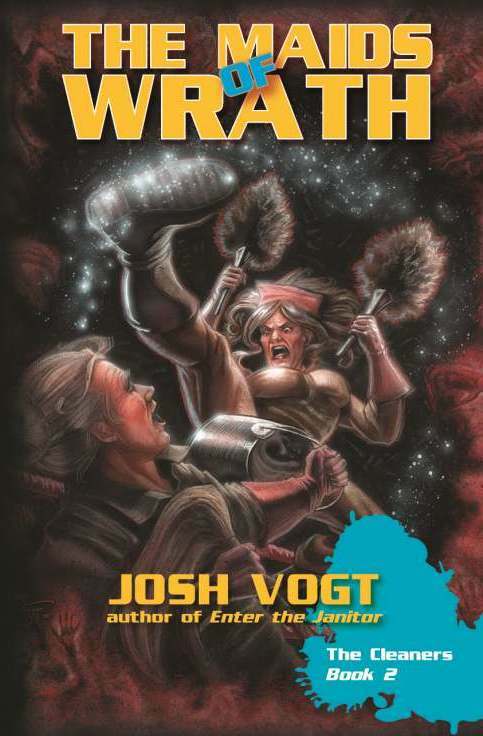 Today I’ll be talking about the second book in Josh Vogt’s The Cleaners series, The Maids of Wrath. As always, there may be some minor spoilers in the review, but I’ll avoid any major plot points or gigantic twists. On the topic of spoilers though, some fair warning. This is a review of the second book in the series, so in order to discuss it properly, there’s going to have to be some spoilers for the first book. These are not minor spoilers, since the end of that book sets the stage for this story. So with that said, if you haven’t read Enter the Janitor, and are interested in seeing if this series is something you’d enjoy, you can find my review for that here. Full Disclosure: I was provided with a pre-release e-book of this novel by the author for review purposes. This has in no way influenced my opinion of the work, and this review is a full, fair and honest accounting of my thoughts on it. Note: Sorry guys, this is way later than I expected it to be. The last couple of months have been a bit of a struggle for me, and I’d found it hard to bring myself to write anything. Pushing myself to get back on track again, and hopefully the fact that I’ve got myself into a bit of a steadier routine should help with that. Okay, time for another review! 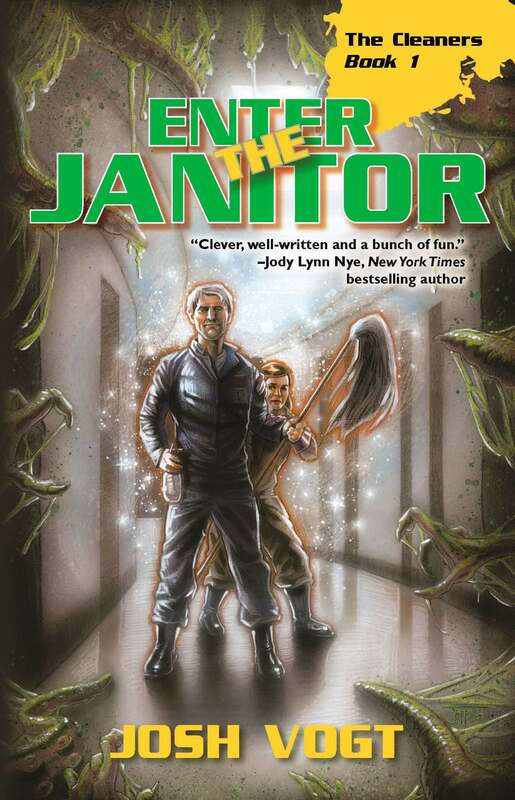 This time around we’re looking at the first book in The Cleaners series, Enter the Janitor, by Josh Vogt. 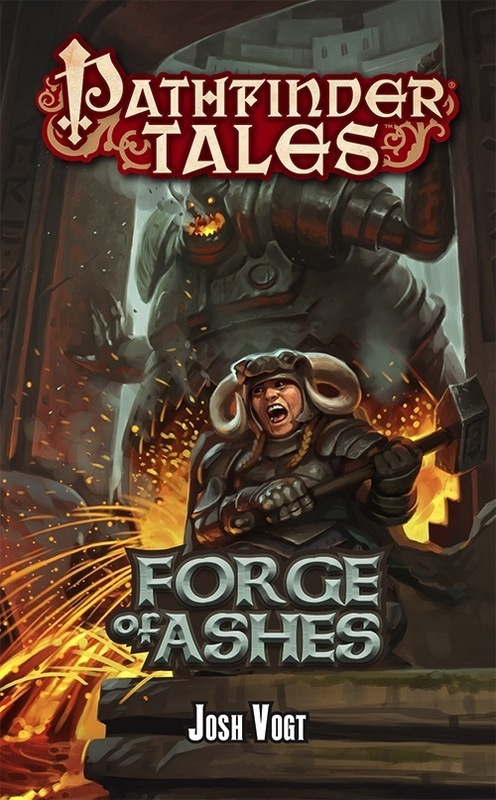 You might recognise the name from my review of Forge of Ashes. Forge of Ashes was Josh’s debut novel, with Enter the Janitor hot on its heels. It’s a bit of a genre shift as well, jumping from the fairly traditional fantasy (with some decidedly non-traditional elements) of the Pathfinder Tales line to urban fantasy with a comedic bent. Anyway, enough preamble. Let’s get into the meat of this. Full Disclosure: I was provided with an e-book of this novel by the author for review purposes. This has in no way influenced my opinion of the work, and this review is a full, fair and honest accounting of my thoughts on it. Well, it’s been a while. No excuses for it, I’ve just been very, very slack on posting. I’m going to try to get myself back to weekly updates, hopefully on Saturdays or Sundays. To make it easy for now, I’m going to start off with book reviews just to get going again. So on that note, let’s start with a review of the latest Pathfinder Tales novel. Akina Fairingot, the angriest dwarf on Golarion, prepares to lay a beatdown onto a Forgefiend.